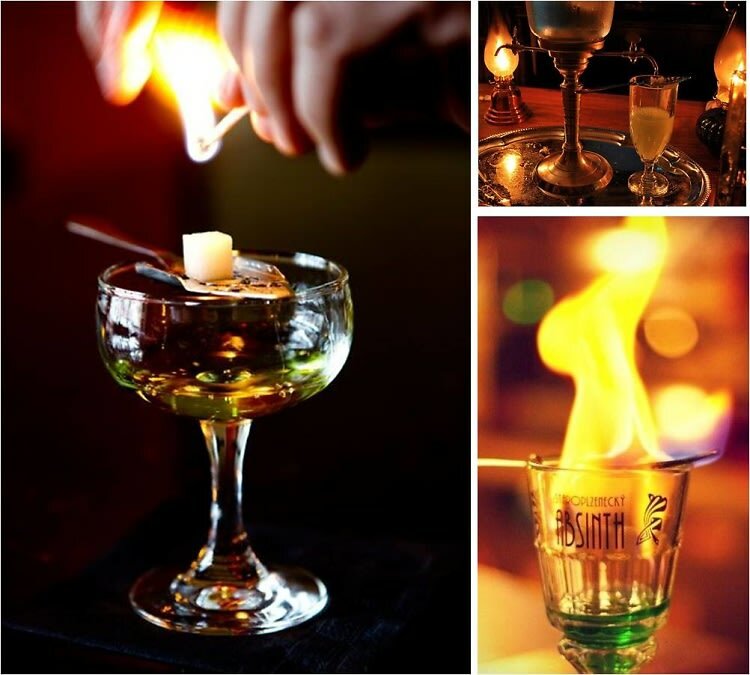 [Photos via, via, via] Given its hallucinatory powers and tales of inspiring lunacy, we understand why absinthe was illegal in this country until 2007. With its current potency no longer having psychedelic effects, today is National Absinthe Day, the anniversary of the U.S. lift on the heady spirit's ban which we celebrate by enjoying our right to dance freely with the Green Fairy tonight. We've come up with the best places in town to observe the holiday so get over the hump by making Hemingway proud and stop by one of these top 6 L.A. spots serving absinthe cocktails tonight.